Liczba stron: 72 Jest to ujednolicona liczba stron, która ułatwi Ci porównanie długości książek. Każda strona Legimi to 200 słów. Mrs. Bach Lan has assembled an interesting selection of Vietnamese Legends. These tales, well and simply translated by the author, have considerable charm, derived in no small part from the sense they convey of familiar human situations clothed in exotic dress. Here, in tropical settings, we have faithful lovers, jealous wives, unkind stepmothers, the stuff of which so many Western folk stories are made. One story indeed is Cinderella over again. We hope that this little book will find many readers and stimulate friendly interest in a country whose present-day problems are regrettably better known than her past culture. This page copyright © 2007 Silk Pagoda. 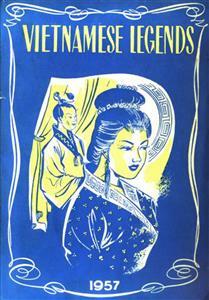 Mrs. Bach Lan has assembled an interesting selection of Vietnamese legends for which I am glad to write a brief foreword. These tales, well and simply translated by the author, have considerable charm, derived in no small part from the sense they convey of familiar human situations clothed in exotic dress. Here, in tropical settings, we have faithful lovers, jealous wives, unkind stepmothers, the stuff of which so many Western folk stories are made. One story indeed is Cinderella over again. I trust that this little book will find many readers and stimulate friendly interest in a country whose present-day problems are regrettably better known than her past culture. In the early days of the Le dynasty, there lived at Bich-Cau village a young scholar named Tu-Uyen. He was known far and wide, for he came from a family of distinguished scholars, and was brought up in the world of books. He spent most of his time studying hard, reciting aloud his favourite prose selections and poems, intoning the words with great pleasure. There were dozens of fair and rich young maidens who would have liked to marry him if he had asked them, but he wished to marry none of them. One day, in the middle of the Spring Festival, he decided to go in the open air to enjoy spring time and the warm sun. He went alone, for to wander thus was his chief delight. It was very beautiful in the country. Nature was luxuriant and wonderful. The rice-fields were green, the trees were swaying to and fro under the fresh wind and wild flowers peeped among the verdant meadows. The sun shone brightly upon him as upon the gardens and fields. He turned towards the warm sun, looked up to the sky and listened to the birds singing in the air. Then he went on and on along the winding road skirted by tall fruit-trees bending under their heavy load of golden fruit. The roses opened their pink or red or white petals and sent forth a fragrance wonderfully sweet and strong and this was the way they greeted spring. Everything was so fresh and delightful that Tu-Uyen walked and walked, admiring and wondering and forgot the time. At last, the evening drew on, and the sky gleamed like gold under the full moon. Tu-Uyen went back home and when he passed by the richly carved Tien-Tich pagoda, he beheld the most beautiful maiden in the world under a blossoming peach-tree. It was clear that from her slim and tapering fingers, her delicate figure, her smooth silken complexion, her beautiful dress and her noble bearing that she was not an ordinary woman. She was dreamy and ethereal like a fairy, with the moonlight playing on her white face and bright eyes. «Most honoured lady, as the night is drawing near, may your humble servant, the unworthy scholar of Bich-Cau village accompany you to your distinguished abode?». The beautiful maiden curtsied back in the most graceful and courteous manner and said she would be delighted and grateful to be taken home by the young man. Then they walked side by side, emulating each other in making alternate love songs and clever poems. But when they came to the Quang-Minh temple, the lady vanished, and it was only then that Tu-Uyen realized he had met a «Tien» (fairy). When he reached his home, he kept on thinking of the beautiful lady he had met, and who he supposed was now dwelling far away above mountains and forests. He did not speak to anyone of his great sorrow — for of course, he was deeply in love with her, and missed her so very much. He lay in his bed, dreaming of her, «neglecting to sleep during the five watches of the night, and to eat during the six parts of the days». He caught the mysterious «Tuong-Tu» disease, the sort of love-sickness which no medicine could cure. Silently, he prayed to the gods that he might die soon, so that he could be with her in another world for he was convinced that he would meet her again somehow. He prayed and prayed until one night a white haired and bearded man appeared to him in his dream and told him to go to the Eastern bridge on the To-Lich river the next day to meet the maiden he loved. As soon as day-break came, he forgot all his sickness, set off for the appointed place and waited. He stayed there for hours without seeing anyone. Finally when he was about to give up, he met a man selling a picture of a woman looking exactly like the one he had met under the blossoming peach-tree that day. He bought the picture, took it home and hung it on the wall of his study. His heart warmed as he lovingly contemplated the picture. And he caressed it, whispering ardent words of love and devotion to it. During the day, he would stop his reading, throw away his books and go to look at it. He would get up in the middle of the night, light a candle, take the picture and gave it a warm kiss as if it were a real human being. He was now completely cured of his sickness, and was happy. One day, when he was thus admiring the picture, the maiden suddenly moved her eyelids, winked and smiled sweetly at him. Taken aback, he rubbed his eyes and stared at her but she grew taller and taller, and stepped forth from the picture, making a deep bow to him. «Who are you, honoured lady?» asked Tu-Uyen. «My humble name is Giang-Kieu and I am a fairy. You might perhaps remember that we have met under the blossoming peach-tree in the Spring Festival. Your love for, and your faith in me have moved the Fairy-Queen who deigned to send me down here to be your wife». Now the young scholar's dream was fulfilled and he was transported into a new world of happiness and unknown delight. His house was now transformed into heaven by her sweet, lovely presence, and by the magic of her love. He obeyed her reluctantly but his mind was distracted and finally he took to wine. One day, when he was drunk the fairy was gone. He was very sorry for it, and prayed to her to come back again, but there was no sign of her. Then, he remembered that she had come out of the picture on the wall, and he went to it to beg her to come out again, but she did not move.